Powerful for batteries that require rapid charging: in your RV, boat, or workshop. The charger automatically adjusts the charge to the battery\'s temperature. It has the same handy Supply-mode as the XS 7000. Safe for lead-acid types, flooded, MF, Gel & AGM Batteries. Spark free, short circuit proof, reverse polarity protected. Pulse maintenance for maximum battery life. Ideal charge down to 170V AC. Brings drained batteries back to life. Safe for lead-acid types, flooded, MF, Gel & AGM Batteries. Water Resistant to IP65 - Suitable for outdoor use. Features the same functions as the XS 25000 but is intended for 24V batteries. 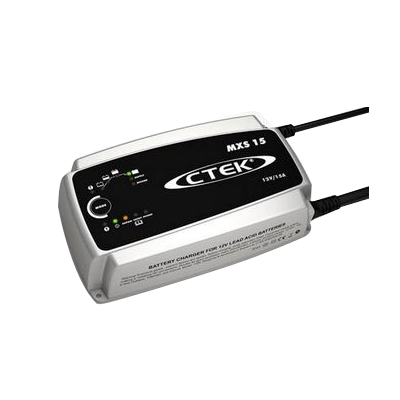 The ideal charger for buses, trucks & boats. The analysis functions help you keep your batteries ready to go at all times. Safe for lead-acid types, flooded, MF, Gel & AGM Batteries. Weather Resistant to IP44. 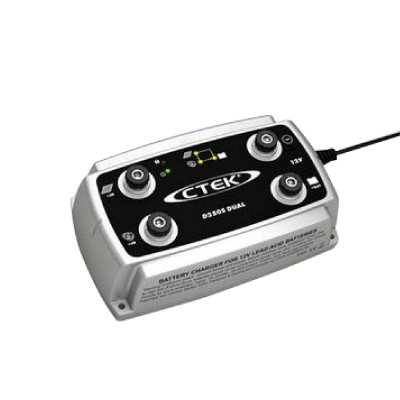 Ctek's D250S DUAL is a fully automatic 5-speed charger that provides 20A for 12V batteries between 40-300Ah. 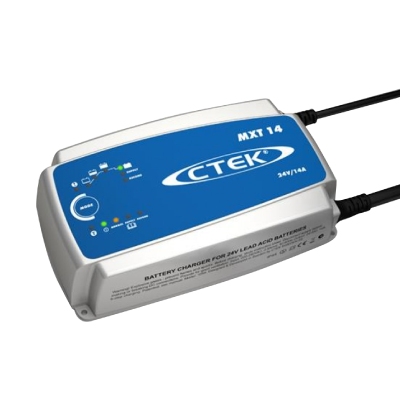 The charger is IP65 rated (splash, dust proof and approved for outdoor use), protects the vehicle electronics and is suitable for all types of lead acid batteries (Wet, MF, Gel, AGM).